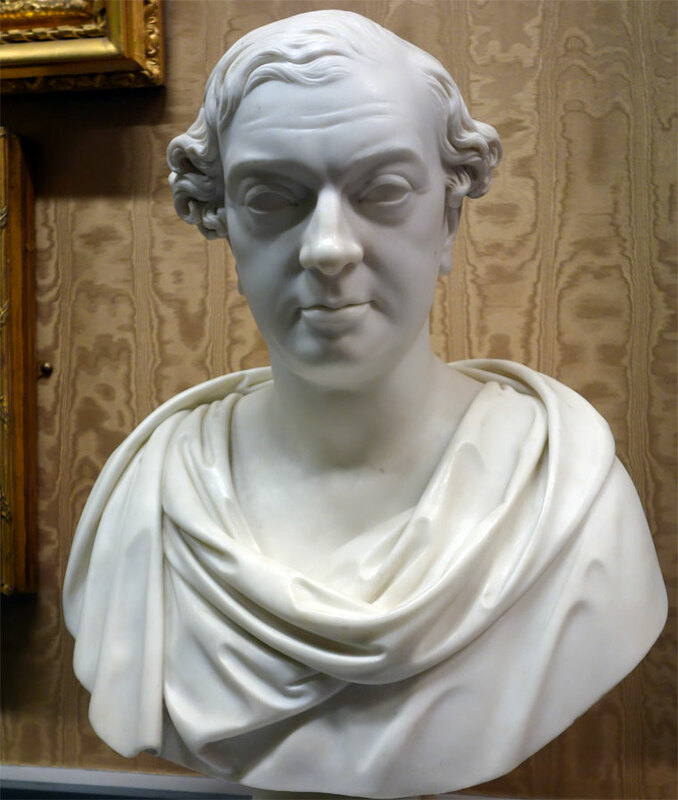 Thomas Brassey (1805-1870) was an English civil engineering contractor and manufacturer of building materials who was responsible for building a large portion of the world's railways in the 19th century. 1805 November 7th. Born the son of John Brassey, of Buerton, Cheshire, a landowner, and his wife Elizabeth Perceval. He had two brothers and one sister. 1821 Apprenticed to a land surveyor named Lawton, agent to Francis Richard Price of the Bryn-y-Pys estate. 1826 Became Lawton's partner. Brassey went to live in Birkenhead where he augmented the experience which he had acquired in road surveying and improvement, including work under Thomas Telford on the London to Holyhead road, by engaging in property development in the new town. Built a new road from Tranmere to Bromborough with a bridge over Bromborough pool. 1836 Birth of son Thomas Brassey (1836-1918). M.P. for Hastings. George Stephenson and Joseph Locke, impressed by Brassey's commercial attitude, encouraged him to compete with some of the country's leading contractors for the Penkridge contract of the Grand Junction Railway. 1840s Messrs Brassey, Mackenzie and Stephenson carried out various railway schemes in Britain. 1844 Birth of son Albert Brassey (1844-1918). 1851 Living at 56 Lowndes Square, Chelsea: Thomas Brassey (age 45 born Buerton, Cheshire), Railway Contractor. With his wife Maria Brassey (age 40 born Liverpool) and their son Albert Brassey (age 7 born France). Seven servants. c.1853 With Peto, Betts and Jackson, set up the Canada Works in Birkenhead to construct the vast quantities of material required for the Grand Trunk Railway in Canada. 1855 Brassey, Peto, and Betts constructed the Victoria Dock, London's first dock designed for steamships and served by railways. 1855 The government asked them to construct a line about 7 miles long from the port of Balaklava for the carriage of supplies required by the allied forces besieging Sevastopol. The speedy completion of this line in 1855 played a significant part in securing victory and alleviating the suffering of the troops. 1860s In association with Henry Harrison and Alexander Ogilvie, Brassey completed the middle level sewer (Kensal Green to Bow) of the new drainage system of London designed by J. W. Bazalgette. By the time of his death he had been responsible for building about one-third of the railways in Britain, three-quarters of those in France, and major lines in many countries throughout Europe, and in Canada, Australia, South America and India, together with their associated docks, bridges and viaducts, stations, tunnels and drainage works. In addition he had played a role in the development of steamships, mines, locomotive factories, marine telegraphy and water supply and sewage systems. The death is announced today of Mr. Thomas Brassey, which took place somewhat suddenly on Thursday afternoon at St. Leonard's-on-Sea, where he had recently been staying for the benefit of his health. Mr. Brassey was born in 1805 at Broughton, in Cheshire. The first railway contract signed by Mr. Brassey was in 1836, when he took ten miles on the Grand junction line between Birmingham and Liverpool, now incorporated with the London and North- Western Railway. The Penkridge Viaduct on the same line was his next great work. From the south-west district of England Mr. Brassey was led to the continent. He constructed a large portion of the western of France and the Paris and Rouen Railways, which in turn led to his contracting for important works in Belgium, Holland, Denmark, Norway, Spain, Savoy, Italy, and Austria. Many of these works - notably, among others, the flying railway over Mont Cenis - proved in a pecuniary point of view disastrous speculations. The Times, in an obituary notice, says:- A fair idea of the magnitude of Mr. Brassey's operations may be gathered from the fact that in the thirteen years from 1848 to 1861 inclusive, he made, either by himself or in association with others, 2,374 miles of railway, at a contract price of £27,998,224. Mr. Brassey is stated to have suffered during the panic of 1866 to the extent of more than a million of money; but it is perhaps quite as extraordinary that in 1869 he is understood to have been a richer man than during any former period of his career. Death of Mr. Brassey. The announcement that this eminent railway constructor died somewhat suddenly on Thursday afternoon at St. Leonards-on-Sea, where he had recently been staying for the benefit of his health, will create a deep feeling of regret. Mr. Brassey had suffered from periodical attacks of asthma for some years, and within the past few months his health bad given some anxiety to his friends. But even so recently as Wednesday last he had projected a journey to Preston Hall, near Maidstone, the seat of his second son, Mr. Henry Brassey, M.P. for Sandwich, and his death, which occurred at half-past four o'clock on Thursday, was quite unexpected. 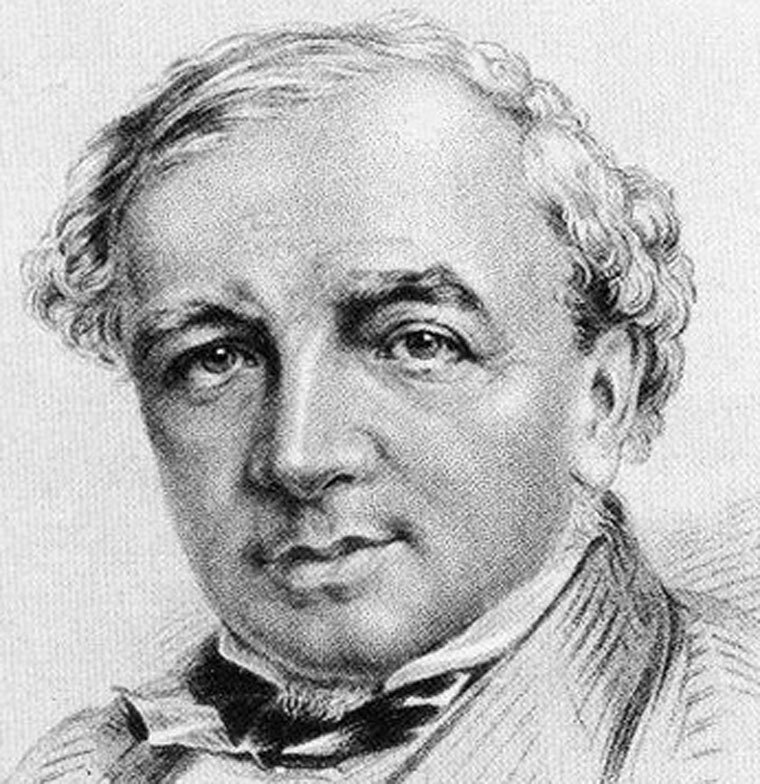 Thomas Brassey was born in 1805, at Boughton, in Cheshire, where his yeoman father occupied land which had been held by his ancestors during a couple of centuries. Articled to a local land agent and surveyor, Mr. Brassey here learnt the principles of commercial economy, and made his first independent start by contracting for the making of a road in North Wales. The first railway contract signed by Mr. Brassey was in 1836, when he took ten miles on the Grand Junction line, between Birmingham and Liverpool, now incorporated with the London and North-Western Railway. The Penkridge viaduct on the same line was his next great work, and at this date Mr. Brassey accompanied the late Mr. Locke, the eminent engineer, into tbe southern districts of England, where be executed large portions of the main South-Western line and many of its branches. From the south-west district of England Mr. Brassey was naturally led by the same engineer to the continent, where in the early days of improved locomotion be constructed a large portion of the Western of France and the Paris and Rouen railways, which in turn led to bis contracting for important works in Belgium, Holland, Denmark, Norway, Spain, Savoy, Italy, and Austria, with all of which countries his name will ever be intimately associated. Many of these Works, notably among others the flying railway over Mont Cenis proved in a pecuniary point of view disastrous speculations to Mr. Brassey, but such was the largeness of the view he took of everything upon which be was engaged, and such his steadiness of purpose and integrity, that although in numerous eases where through failure of periodical payments it would have been easy to have relieved himself of unprofitable contracts, he never would avail himself of the laches of others; and if his word had once been passed he always insisted upon carrying out his engagements to the letter. The gigantic foreign and colonial operations in which Mr. Brassey was engaged for many years did not exhaust his energy, and while they were in progress a section of bis large staff were always busy in the United Kingdom, at one time upon the Caledonian Railway — a remarkably difficult work — at another constructing the Welwyn Viaduct upon the Great Northern Railway; then the West London Extension line, including a bridge across the Thames at Battersea; then the northern mid-level sewer; and more recently Mr. Biker's great bridge across the Mersey at Runcorn, near Liverpool. A fair idea of the magnitude of Mr. Brassey's operations may be gathered from the fact that in the 13 years from 1818 to 1861 inclusive he made, either by himself or in association with others, 2,374 miles of railway, at a contract price of £27,998,224. Mr. Brassey is acted to have suffered during the panic of 1866 to the extent of more than a million of money. But it is perhaps quite as extraordinary that in 1860 he is understood to have been a richer man than during any former period of his career. His existing contracts are now gradually running out. Indeed, his chief motive for continuing bis business during recent years has been his knowledge of the fact that be had a very large staff dependent upon him, and that he did not like to see them out of employment. His loss will be greatly felt amongst his own class, whom he was never tired of assisting in the manner best calculated to be useful to themselves. Mr. Brassey married early in life Miss Harrison, of Birkenhead, who survives him, and by whom he leaves three sons, Mr. Thomas Brassey, M.P. for Hastings, who married the daughter of Mr. John Allnutt, and resides at Normanhurst, near Hastings, purchased some years since from Sir Peregrine Acland; Mr. Henry Brassey, M.P. for Sandwich, who is married, and resides at Breton Hall, near Maidstone, and Mr. Albert Brassey, of Heythrop, in Oxfordshire, who is unmarried, and an officer in the 14th Hussars. Thomas Brassey, the son of John Brassey, of Bulkeley, in Cheshire, who occupied land there which had been held by his ancestors for a couple of centuries, was born on the 7th of November, 1805, at Baerton, near Chester, and received his early education at a school in that city. At the age of sixteen he was articled to a surveyor named Lawton in the same place, by whom, on the termination of his apprenticeship, he was taken into partnership. Among other surveys on which he was engaged about this time was that of the road between Machynlleth and Aberdovey. He now married Miss Harrison, of Birkenhead, and shortly after undertook the entire charge of the business hitherto carried on by the firm of Lawton and Brassey, and established lime kilns and brick-yards, and contracted for and executed a road from Tranmere to Brownborough. It thus happened that when, in 1835, the late Joseph Locke, M.P., Past-President Inst. C. E., was appointed Engineer of the Grand Junction Railway, Mr. Brassey came forward and undertook a length of 10 miles of this line, known as the Stafford contract, and completed the work with advantage to himself and to the satisfaction of the engineer. He next undertook some large contracts on the London and Southampton Railway, employing as many as three thousand men, and at the same time became contractor for portions of the Chester and Crewe, the Manchester and Sheffield, and the Glasgow and Greenock, railways. In 1840, some of the directors of the London and South Western Railway, with a few French capitalists, formed a company for the construction of a railway from Paris to Rouen. Mr. Brassey, in partnership with Mr. Mackenzie, secured the contract for the line, although the tender he sent in was at such a price as he believed would entirely throw him out; nevertheless it was the lowest. The authorities could not suppose it possible that he could execute the works at the price; but he did, and realised a handsome profit on the transaction. Between 1844 and l848 Messrs. Brassey and Mackenzie contracted for the Havre and Rouen, and five other French railways, and the former also undertook, in whole or in part, the works for three lines in Scotland, and two lines in England and Wales. At this time Mr. Brassey had in his employ no fewer than seventy-five thousand men; his payments for labour were from £15,000 to £20,000 weekly, while the capital involved in these contracts was about £36,000,000. Among these works may be mentioned the Caledonian railway, and a little later, the Welwyn viaduct of the Great Northern railway. In 1851, Mr. Brassey commenced works in Shropshire, in Somersetshire, and in the county of Inverness. In 1852 he undertook in Belgium, in Holland, in Prussia, in Spain, and in Italy, the lines of the Sambre and Meuse, the Dutch-Rhenish, the Barcelona and Mataro, and the Maria Antonia railways. In partnership with Messrs. Peto and Betts he constructed the Grand Trunk railway of Canada, and between 1853 and 1857 he made six more railways in France, as many in Italy, and the Bilbao and Miranda line in Spain, besides undertaking contracts in Norway, Sweden, Denmark, and Switzerland, and the railway over the Mont Cenis Pass. In Turkey and Austria he engaged in extensive contracts. 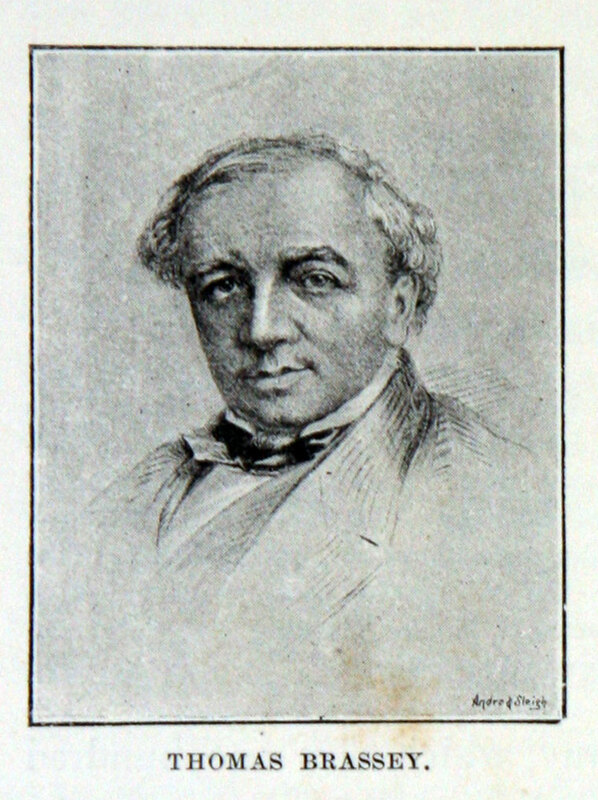 In India he constructed a great part of the East Indian Railway, the Calcutta and South Eastern, and other works; in Australia several hundred miles of railway; he contracted for the first railways projected in South America; and one of his last undertakings was a contract for docks at Callao, which had to be carried out by his executors. The Barrow docks and Runcorn viaduct were among his most important enterprises. By means of subsidiary or private undertakings he constructed an enormous plant, which ministered to his home and foreign contracts. Coal-mines, iron-works, dockyards, the great establishment on the margin of Wallasey Pool at Birkenhead, "Canada Works", where the Victoria Bridge for the St. Lawrence was constructed, all owed their existence to his energy. The railway contracts executed by Mr. Brassey and his various partners, from 1848 to 1861, extended over 2,374 miles, and amounted to a total value of £28,000,000. The systematic and orderly execution of works to so vast an amount as those undertaken by Mr. Brassey, brought him a large amount of wealth. It is not to be supposed, however, that no reverses occurred. Never elated by prosperity, Mr. Brassey met loss with composure, and without attempting to throw it upon others. When the Barentin viaduct, on the Rouen and Havre railway 100 feet high, and consisting of twenty-seven arches of 50 feet span, collapsed in 1846, he rebuilt the bridge at his own expense, although not responsible for the failure. Again, he regularly paid a sum of S14,000 half-yearly for a line of railway, from the construction of which he had received no pecuniary advantage whatever, but for which he had guaranteed the interest for a certain time. The nature of the relation which subsisted between the engineer of a public company and the contractors who undertook the execution of the works was, at the commencement of Mr. Brassey’s career, very different from that which subsequently obtained. The early contractors were, for the most part, men of strong natural abilities, insight into the cost and method of executing work amounting to instinct, low tastes, violent habits, and grasping tenacity of purpose. A contract being once made, it seemed to be regarded as natural that, the contractor should set his wits to work to make the most of it. This was to be done, on the one hand, by grinding his labourers under the pressure of the truck system and the 'tommy shop,' and on the other hand by 'scamping' his work. Under the three grades of engineers ordinarily engaged ranked an array of inspectors. These were men set to watch that the requisitions of the specifications were not eluded, that the mortar had the proper proportion of fresh lime, that bats were not used in place of bricks, that spruce was not substituted for larch in the fencing, and so on. Very frequently these men began by displaying extreme severity, greatly to the cost of the contractor. As a rule, vexatiously minute inspectors were open to bribes. They gave trouble unless they were bought off. This matter once arranged, the less scrupulous contractors and subcontractors often drove a roaring trade, the engineer being sold by his own watchmen. Against this system of scamping and of bribery Mr. Brassey was one of the first to make a stand. In all questions that he was called on to decide, he had the wholesome habit of inquiring 'how the thing would look if it came before twelve men in a box.' Bribing and scamping being thus discarded, Mr. Brassey adopted a method of his own of dealing with the engineer. It was his plan, - using an expression now perhaps forgotten, - to ‘smother the engineer.' This smothering, however, consisted only in extinguishing all just causes of complaint. To do his work fairly and faithfully, to render inspection superfluous, and thus to annihilate the power of the inspectors, was the system which led to the attainment of such a character of reliability for the performance of work as proved to be one main element of Mr. Brassey’s extraordinary success. With a man of this nature, the relations of an engineer soon became more confidential than was at all ordinary in the early days of English railway work. His character was established by the first contracts which he executed under Mr. Locke on the Grand Junction railway, while the influence of that engineer was enormously increased by the practical backing afforded by Mr. Brassey, as an estimate by Mr. Locke meant a price at which Mr. Brassey would tender. In some instances, indeed, the support thus given to what was no longer mere scientific opinion, rendered Mr. Locke rather a dangerous adviser for his brother engineers to call in. On one considerable line of railway, as to which, in 1837, there was a question of prosecution or abandonment, the engineer appealed to Mr. Locke to support estimates which afterwards proved to be grossly inadequate. The report took the form of condemning the details of the estimate, but intimated that for the gross sum contractors might be found to execute a well devised line between the points. The engineer in question narrowly escaped having to pay a very heavy price for the support which he thus invoked. At no part, however, of Mr. Brassey’s career has he been accused of endeavouring to take the bread and cheese out of a brother contractor‘s mouth. The modest taste of Mr. Brassey led him to shun distinctions which many other men so anxiously seek. However, the Government of France acknowledged his services in constructing the railways of that country by the Gross of the Legion of Honour. The King of Italy evinced his sense of the value of Mr. Brassey’s labours in that country by sending him the Cross of the Order of St. Maurice and St. Lazarus. The Austrian Emperor bestowed on him the rare distinction of the Order of the Iron Crown, a decoration never, it is said, before conferred on a foreign subject. Mr. Brassey probably valued still more highly the testimonial presented to him, in 1851, by his numerous agents, sub-contractors, and tradesmen, which cost £10,000. Mr. Brassey rose to the unquestioned leadership of his calling by the possession and the exercise of qualities which are not only, in the degree in which he possessed them, rare in themselves, but which are still more rare in combination. His character presented a happy equilibrium between forces of opposite tendency. He was remarkably keen and sagacious in perceiving and in maintaining his own interest, at the same time that he was unimpeachably just with regard to the interest of others. He was eminently kind-hearted, at the same time that he was quite deaf to the voice of wheedling. He undertook, and carried out, not a few large operations, rather for the sake of the employment of his dependants than for his own emolument; and he largely increased his wealth by so doing. He was bold to audacity in the magnitude of his operations, at the same time that he was cautious, even to timidity, in the preliminary investigation of details. Fully conversant only with the English language, and making no pretension to a critical acquaintance with that, he not only so expressed himself as invariably to avoid misconstruction or confusion, but found himself almost as much at home in the principal Continental capitals as he did in London. Modest and unassuming in his manners, he was yet fully aware that he was an industrial power of the first magnitude. Liberal, on a large scale, in his dealings with the public companies for which he executed such wholesale works, he was exact to the utmost minuteness as to the regularity of certificate and of payment. He was at once generous and exact, energetic and calm. While ever to be found at the spot when his presence was required, he was free from that drive and bustle by which some persons endeavour to hurry their subordinates, and to obtain the reputation of men of business. Mr. Brassey was straightforward, prompt, and honourable to the last degree; he had a frank, hearty address, a cheery voice, and a pleasant smile; he was tall and strong-built, but spare. He left three sons, of whom two are in Parliament, and the youngest in the army. He was elected an Associate of the Institution of Civil Engineers on the 13th of January, 1852, served on the Council in the year 1853, and died, of bronchitis, at St. Leonard‘s-on-Sea, on the 8th of December, 1870, aged sixty-five years. This page was last edited on 21 February 2018, at 14:31.